I went into this book thinking that it was just going to be a retelling of After. It turns out that it was more than a retelling but at the same time I’m still a little disappointed because I expected more from this POV. One of the things I did enjoy about the book was that it gave a little backstory on some of the supporting characters. 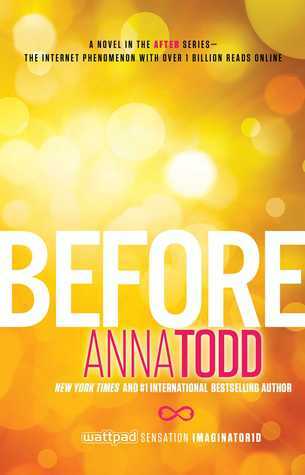 I must admit that Before was a lot better than After Ever Happy but it was still only an okay book for me.